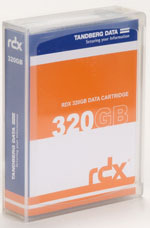 Tandberg Data announced free encryption software that allows customers to encrypt data stored on RDX disk cartridges. 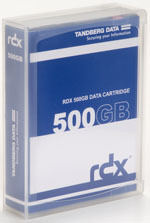 The software, called RDX Cartridge Encryptor (RCE), incorporates AES 256-bit encryption combined with secure erase and cryptographic key deletion. Tandberg Data RCE software is optimized for performance and simplicity for SMBs, providing greater data security for off-site data storage. RDX continue to add new features and functionality to promote the adoption of RDX. The release of the RCE software is further testament of Tandberg Data's commitment to deliver data security and data protection for small and medium-sized businesses. It is important to provide all users of RDX technology with the option to add an extra layer of data security at no additional cost. The free RDX Cartridge Encryptor software can be download Here (registration needed). RDX cartridges are available in HDDs and SSDs ranging from 64GB to 1.5TB (The 1.5TB RDX cartridge will be available in September 2012.). All cartridges are removable for off-site storage, disaster recovery and archival applications and are built to last more than 10 years with normal use. RDX-based solutions include single dock systems; LAN-attached disk-based appliances; and multi-cartridge removable disk libraries.